School of Our Lady admits students of any race, color, national and ethnic origin to participate in all the rights, privileges, programs, and activities generally accorded or made available to students at this school. The school does not discriminate on the basis of race, color, national or ethnic origin in the administration of its admissions policies, educational policies or other school administered programs. A student is admitted to School of Our Lady after a grade appropriate assessment has been administered and active report card grades (available at the time of testing) are evaluated. Birth certificates, baptismal records, immunization records, and other pertinent legal documents are also required. Acceptance is based upon results of the assessment, satisfactory report card grades and/or recommendations from the preceding school. 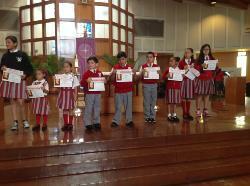 All students entering School of Our Lady are automatically placed on first quarter probationary status. 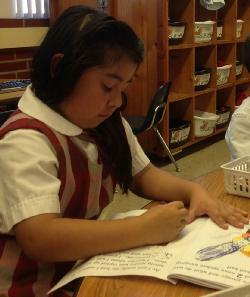 Each child's progress will be evaluated after the first quarter to determine continued membership in school. Academic and social progress must indicate satisfactory achievement. It is of utmost importance that parents agree to actively support the spiritual, academic, volunteer and fund-raising programs of the school. It is of utmost importance that parents remember that their support of the school, especially in regards to prompt payment of tuition and a willingness to volunteer in school projects, is a prerequisite to re-registration and a condition for continued presence in the school. The school may deny re-admission to any family delinquent in tuition or who has not met the volunteer hours requirement. In addition, failure to support the philosophy, objectives and policies of the school may also result in non-admission. If volunteering is not possible because of time constraints, an additional financial assessment will be added to the tuition statement. Students must maintain satisfactory grades in academic subjects, conduct, effort, and homework. Should students receive an unsatisfactory grade in any of these areas, the parents will be notified.